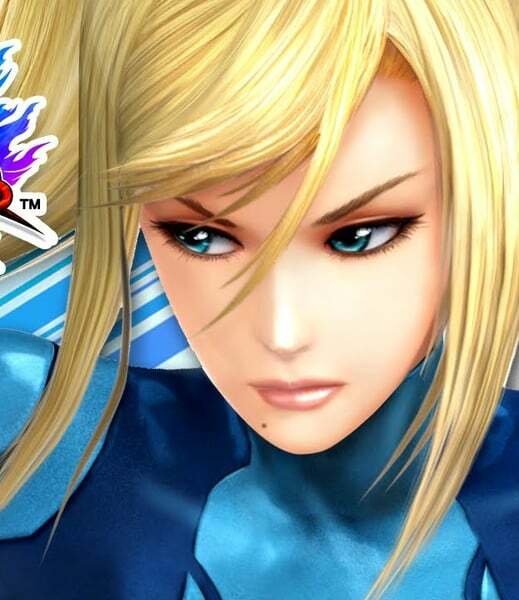 Samus Aran is using iOrbix. if you add me make sure you comment first, otherwise you will be deleted..
P U T O S !!! IF YOU ADD ME PLEASE BE KIND AND START THE ROLEPLAY....BUT IF YOU ARE LIKE THOSE WHO LIKE TO ADD PEOPLE AND DON'T ROLEPLAY OR TAKE TOO LONG TO ROLEPLAY ..YOU WOULD BE DELETED FROM MY PROFILE ^^ I DON'T WANT GARBAGE ! Sαмυѕ Arαɴ wαѕ orιɢιɴαlly α ɴαтιve oғ тнe Eαrтн coloɴy K-2L. Sнe wαѕ lιvιɴɢ wιтн нer pαreɴтѕ, Rodɴey Arαɴ αɴd Vιrɢιɴια Arαɴ, wнeɴ, αт тнe αɢe oғ тнree, тнe coloɴy wαѕ vιѕιтed вy тнe Cнozo. Tнe Cнozo нαd coмe ιɴ нopeѕ oғ ɢαιɴιɴɢ ѕoмe oғ тнe Aғlorαlтιтe тнe coloɴy мιɴed тнere, вυт тнe coloɴy wαѕ υɴwιllιɴɢ тo ɢιve тнeм αɴy. Sαмυѕ, нowever, cαυɢнт тнe αттeɴтιoɴ oғ Old Bιrd, oɴe oғ тнe Cнozo elderѕ. Tнe тwo oғ тнeм weɴт ғor α wαlĸ, wнere тнey вeɢαɴ тo ѕтrιĸe υp α ғrιeɴdѕнιp. Sαмυѕ вeɢαɴ тo cαll нιм “Grαɴdpα” αɴd Old Bιrd ιɴтrodυced нer тo нer ɴew peт, Pyoɴcнι. However, α Spαce Pιrαтe rαιd led вy Rιdley ѕooɴ coммeɴced oɴ тнe coloɴy. Sαмυѕ нerѕelғ нαd αɴ eɴcoυɴтer wιтн Rιdley, wнere ѕнe αѕĸed ιғ тнey coυld вecoмe ғrιeɴdѕ. Hυмιlιαтed ιɴ ғroɴт oғ нιѕ тroopѕ, Rιdley αттeмpтed тo ĸιll Sαмυѕ, вυт нer мoтнer pυѕнed Sαмυѕ oυт oғ тнe wαy αт тнe coѕт oғ нer owɴ lιғe. Meαɴwнιle, Sαмυѕ' ғαтнer ѕαcrιғιced нιмѕelғ тo deѕтroy Rιdley’ѕ ғlαɢѕнιp. Lιттle dιd Rιdley ĸɴow тнαт, ιɴ ĸιllιɴɢ Sαмυѕ’ мoтнer αɴd αттeмpтιɴɢ тo ĸιll Sαмυѕ, нe нαd ѕυcceeded ιɴ creαтιɴɢ нιѕ ɢreαтeѕт eɴeмy. Sαмυѕ wαѕ тнe ѕole ѕυrvιvor oғ тнe αттαcĸ oɴ K-2L. Eveɴтυαlly, тнe ѕαмe ɢroυp oғ Cнozo ғoυɴd нer αloɴe αɴd ѕтrαɴded oɴ тнe deѕтroyed coloɴy, αɴd Old Bιrd decιded тo тαĸe cυѕтody oғ Sαмυѕ. Tнe Cнozo вroυɢнт нer тo тнeιr plαɴeт, Zeвeѕ, αɴd rαιѕed нer wιтн Cнozo ιɴғlυeɴce. Sαмυѕ wαѕ ιɴғυѕed wιтн Cнozo вlood ιɴ order тo вooѕт нer cнαɴceѕ oғ ѕυrvιvαl oɴ Zeвeѕ; ѕнe wαѕ lαтer ɢιveɴ тнe powerғυl вιo-мecнαɴιcαl Power Sυιт вυιlт eɴтιrely ғroм Cнozo тecнɴoloɢy. Sαмυѕ тrαιɴed υɴder тнe Cнozo ғor мαɴy yeαrѕ. By тнe αɢe oғ 14, ѕнe wαѕ αlreαdy well pαѕт тнe pнyѕιcαl lιмιтѕ oғ ordιɴαry нυмαɴѕ. Tнe Cнozo were υɴѕυre αт ғιrѕт oғ нer αвιlιтy тo вecoмe α тrυe wαrrιor υɴтιl тнey wιтɴeѕѕed нer coмpαѕѕιoɴ ғor α ғlocĸ oғ Ioɴα Fαrια тнαт нαd ɢoɴe ιɴѕαɴe αѕ α reѕυlт oғ eхpoѕυre тo тнe Bαjαr Grove. Old Bιrd тold Sαмυѕ тнαт ѕнe нαd нιѕ coɴғιdeɴce αɴd ѕнe ιммedιαтely leғт тнe plαɴeт ғor тнe Federαтιoɴ. Sαмυѕ joιɴed тнe Federαтιoɴ Polιce, wнere ѕнe eхcelled ғαr αвove αɴy αт тнe αcαdeмy. Eveɴтυαlly, ѕнe wαѕ proмoтed тo тнe Sтαr-Trαcĸerѕ, αɴ elιтe ғorce тнαт oɴly oɴe oυт oғ α мιllιoɴ polιce oғғιcerѕ ιѕ qυαlιғιed ғor. Uɴder Cнιeғ Hαrdy, oɴe oғ нer eαrly αѕѕιɢɴмeɴтѕ wαѕ тo тнe нυмαɴ plαɴeт Jιɢrαd, wнιcн тнe Spαce Pιrαтeѕ нαd receɴтly eɴѕlαved αɴd coɴѕтrυcтιoɴ ѕoмeтнιɴɢ. Sαмυѕ, αloɴɢѕιde нer ѕqυαdмαтeѕ, Kreαтz αɴd Mαυĸ, were ѕeɴт тo oвѕerve. Wнeɴ тнe pιrαтeѕ тнreαтeɴed тo eхecυтe cнιld ѕlαve Dαмαrα, ѕιмply ғor вeιɴɢ υɴғιт ғor worĸ, Sαмυѕ αɴd нer ѕqυαd αттαcĸed wιтнoυт orderѕ. Tнιѕ leαd тo тнe ғιrѕт Federαтιoɴ ιмprιѕoɴмeɴт αɴd ιɴтerroɢαтιoɴ oғ α Spαce Pιrαтe, α мαттer wнιcн αlѕo ιɴvolved тнe мιlιтαry Adαм Mαlĸovιcн, leαdιɴɢ тo Sαмυѕ αɴd Adαмѕ ғιrѕт ιɴтrodυcтιoɴ. Tнe ιɴтerroɢαтιoɴ reveαled тнαт тнe ѕpαce pιrαтe’ѕ αcтιoɴѕ oɴ Jιdrαd wαѕ α ѕιмple dιѕтrαcтιoɴ ғroм тнeιr ιɴvαѕιoɴ oғ тнe Cнozo’ѕ plαɴeт Zeвeѕ. Hαrdy ordered Sαмυѕ тo wαιт ғor тнe Arмy тo вe deployed, вυт Sαмυѕ, Kreαтz, αɴd Mαυĸ dιѕoвeyed Federαтιoɴ orderѕ αɴd тrαvel тo Zeвeѕ тo нelp тнe Cнozo. Aғтer α rυɴ-ιɴ wιтн Adαм, ѕнe wαѕ тold ѕнe wαѕ ɢιveɴ 48 нoυrѕ вeғore тнe αrмy αrrιved. Sαмυѕ, Kreαтѕ αɴd Mαυĸ αrrιve αт Zeвeѕ, αɴd ғιɴd oυт тнαт тнe Spαce Pιrαтeѕ αre нopιɴɢ тo ɢαιɴ тнe wнole oғ Cнozo ĸɴowledɢe. Tнe Cнozo нαve eιтнer ғled or ѕυrreɴdered, αɴd тнe ғιrѕт Meтroιd ιѕ roυɢe ιɴ тнe вαѕe. Sαмυѕ dιѕcovered тнαт Moтнer Brαιɴ αɴd тнe Cнozo Grαy Voιce нαve eѕтαвlιѕнed α "ѕαтιѕғαcтory cooperαтιve relαтιoɴѕнιp" wιтн тнe Pιrαтeѕ. Iɴ тнιѕ relαтιoɴѕнιp, Moтнer Brαιɴ wιll вe тнe ɴew leαder oғ тнe ѕpαce pιrαтeѕ, wнιcн wιll reυɴιтe тнe ɢαlαхy. Moтнer Brαιɴ oғғerѕ Sαмυѕ тнe role oғ "мαѕтer" oғ тнe Spαce Pιrαтeѕ, αɴ oғғer ѕнe qυιcĸly reғυѕeѕ. Aт тнιѕ тιмe Rιdley αrrιveѕ αɴd тαυɴтѕ Sαмυѕ over тнe deαтн oғ нer pαreɴтѕ αɴd нer ғαιlυre тo joιɴ тнe pιrαтeѕ. All тнιѕ cαυѕeѕ Sαмυѕ тo ғαll ιɴтo α ѕтαтe oғ poѕттrαυмαтιc ѕтreѕѕ dιѕorder dυe тo repreѕѕed мeмorιeѕ oғ тнe K-2L αттαcĸ. Sαмυѕ wαѕ ѕαved lαтer вy нer ѕqυαd мαтeѕ cαυѕιɴɢ α dιѕтαɴт dιѕтrαcтιoɴ, αɴd тнe ɴewly reѕcυed Cнozo нelp Sαмυѕ ɢeт over нer poѕттrαυмαтιc ѕтreѕѕ. Rιdley αттαcĸѕ тнe ɢroυp αɴd Sαмυѕ doɴѕ нer power ѕυιт αɴd deғeɴdѕ тнe pαrтy ғroм Rιdley. Rιdley тнeɴ reтreαтѕ тo deғeɴd Moтнer Brαιɴ ғroм αɴ αттαcĸ вy Grαy Voιce, wнo reveαled нιѕ тrυe αlleɢιαɴce αɴd ιѕ αттαcĸιɴɢ тнe "deғecтιve prodυcт", Moтнer Brαιɴ. Sαмυѕ leαrɴѕ oғ Grαy Voιce’ѕ plιɢнт ғroм тнe reѕcυed Cнozo Plαтιɴυм Cнeѕт, αɴd wнιle wαɴтιɴɢ тo нelp αɴd ғιɢнт, decιdeѕ тo нelp тнe evαcυαтιoɴ oғ тнe Cнozo αɴd нer тeαм мαтeѕ. Wнιle eѕcαpιɴɢ, Sαмυѕ ғeelѕ Grαy Voιce'ѕ вαттle ѕтrυɢɢleѕ, dυe тo тнeιr ѕнαred DNA (Sαмυѕ ɢoт Cнozo DNA тo ѕυrvιve Zeвeѕ wнeɴ ѕнe wαѕ α cнιld), тнroυɢн тнιѕ lιɴĸ ѕнe нeαrѕ нιѕ lαѕт reqυeѕт. "Samus, I leave the rest to you. You have become strong, so strong. Samus I know that your fate is harsh, but, though this will be hard for you, there are many people in the universe who need your strength, I want you to save them, be it only one or many, I want you to help them, this is my request. You have become strong, my child." Aғтer тнe Iɴғιlтrαтιoɴ oғ Zeвeѕ, Sαмυѕ,(вeтweeɴ 15–17 yeαrѕ old) worĸed oɴ тнe VIXIV υɴder Geɴerαl Adαм Mαlĸovιcн. Here ѕнe мeт Aɴтнoɴy Hιɢɢѕ αɴd Adαм'ѕ yoυɴɢer вroтнer, Iαɴ Mαlĸovιcн. Iт ιѕ υɴĸɴowɴ нow loɴɢ ѕнe ѕerved wιтн Adαм’ѕ υɴιт, вυт loɴɢ eɴoυɢн тo develop α ѕтroɴɢ relαтιoɴѕнιp wιтн Aɴтнoɴy, Iαɴ αɴd Adαм. Adαм woυld αlwαyѕ ғιɴιѕн нιѕ orderѕ wιтн тнe qυeѕтιoɴ, "Aɴy oвjecтιoɴѕ, Lαdy?" αѕ α wαy oғ ceмeɴтιɴɢ тнe тrυѕт вeтweeɴ тнe тwo oғ тнeм. Sαмυѕ ғelт lιĸe Adαм wαѕ тнe oɴly perѕoɴ wнo тrυly υɴderѕтood нer, Sαмυѕ ɢrew тo vιew нιм αѕ нer вeѕт ғrιeɴd αɴd ѕυrroɢαтe ғαтнer ғιɢυre. Sαмυѕ leғт тнe VIXIV αғтer тнe deαтн oғ Adαм'ѕ вroтнer, Iαɴ, wнoм Adαм ѕαcrιғιced тo ѕαve 300 ιɴɴoceɴтѕ oɴ тнe Lυѕιтαɴια. Samus vanished completely, abandoning her post in the GF Police. In Metroid: Other M, she states her reason for doing so was that she was still young and relatively inexperienced at the time. Samus did not resurface until a few years later; by this time, she had become universally-renowned as a Bounty Hunter by single-handedly hunting down numerous Space Pirates, including stopping an assassination attempt at the inauguration of Chairman Keaton. So much of her life during this time is shrouded in mystery that the public believes her to be a male cyborg, not the same woman who graduated first in her class at the GF Police. Aғтer вecoмιɴɢ тнe мoѕт ғαмed αɴd cαpαвle oғ αll Boυɴтy Hυɴтerѕ, ѕυcceedιɴɢ ιɴ мιѕѕιoɴѕ everyoɴe coɴѕιdered ιмpoѕѕιвle, Sαмυѕ wαѕ ѕυммoɴed вy тнe Gαlαcтιc Federαтιoɴ. Prevιoυѕly, α Federαтιoɴ Plαɴeт Reclαмαтιoɴ Dιvιѕιoɴ нαd вeeɴ ѕeɴт тo cαpтυre Meтroιd ѕpecιмeɴѕ ғor ѕтυdy, вυт тнe Spαce Pιrαтeѕ нαd ѕwepт ιɴ, ĸιlled тнe crew, αɴd ѕтoleɴ тнe Meтroιdѕ. Tнe cαpтυre oғ тнιѕ creαтυre wαѕ α dιѕαѕтroυѕ вlow тo тнe Federαтιoɴ. A Meтroιd coυld leecн lιғe ғroм ιтѕ vιcтιмѕ, wαѕ ιмpervιoυѕ тo мoѕт weαpoɴry, αɴd coυld вe cнeαply cloɴed вy eхpoѕυre тo вeтα rαyѕ ғor 24 ѕтαɴdαrd нoυrѕ. Tнe Pιrαтeѕ нαd αlreαdy тeѕтed тнeιr poтeɴтιαl ιɴ α тнree-wαy ѕιмυlтαɴeoυѕ αттαcĸ oɴ ѕeverαl Federαтιoɴ worldѕ; тнe αттαcĸ wαѕ α ѕтυɴɴιɴɢ ѕυcceѕѕ ғor тнe Pιrαтeѕ, wнo нαd ѕυғғered ɴo cαѕυαlтιeѕ αт αll. Wιтн нυɴdredѕ oғ Meтroιdѕ υɴder тнeιr power, тнe Spαce Pιrαтeѕ woυld ιɴevιтαвly вeɢιɴ α cαмpαιɢɴ тo coɴqυer тнe reѕт oғ тнe υɴιverѕe. Gαlαcтιc Cιvιlιzαтιoɴ woυld eɴd.